Grew Up… on the planet Gallifrey as a member of the powerful and wise species of Time Lords. The Doctor’s childhood is shrouded with mystery – almost none know his real name. 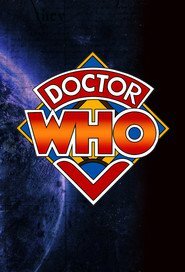 Legends warn that the oldest and most dangerous question in the universe is to ask “Doctor Who?” The Doctor, however, prefers to run away from such ominous legends, just as he fled Gallifrey in a “borrowed” time machine known as the TARDIS. Living... as the last Time Lord. While the Doctor is normally a pacifist, preferring to solve problems by cleverness or fleetness of foot, he was forced to wipe out his own people in order to prevent the destruction of the universe. Now he wanders the universe in his TARDIS trying to cope with his loneliness and regret by seeking companions and helping others. Visiting… anywhere and anywhen, but Earth is his favorite planet. This might be due to his fondness of humans, whom he frequently brings along with him on his travels. The Doctor is also frequently “visiting” new physical forms, as whenever a Time Lord is fatally wounded, they “cheat death” and regenerate into a new body. Profession... “madman with a box.” Despite his title, the Doctor has relatively little medical knowledge compared to the vast wealth of information in his mind, but instead is more of a figurative doctor who cures the universe of its ailments. These ailments vary drastically in magnitude, from minor extraterrestrial invasions to the entire universe exploding, but the Doctor always solves them in his own “mad” and “fantastic” fashion. Interests... Earth’s beauty, traveling throughout all the wonders of the space-time continuum, saving billions of lives, and a nice cup of tea. Or maybe fish-sticks with custard, depending on his mood. Relationship Status… single, mostly. (And as long as we are avoiding spoilers.) The Doctor tries to keep a healthy emotional distance from his traveling companions, especially humans who lack his lifespan and will eventually leave him alone again. But it’s said love will find a way, though if it does it will almost certainly lead to tears. Challenge... saving Earth, usually. Our planet seems to find itself in peril almost weekly – especially around Christmas time. But perhaps the Doctor’s greatest challenge is to overcome his inner turmoil of regrets, loneliness, and having the fate of the universe always on his mind. Fortunately, he often has the best companions in the universe to help deal with these pressures. Personality... witty, wise, compassionate, loyal, and nonviolent when possible. The Doctor never underestimates the power of diplomacy and knowledge. He once exclaims, “You want weapons? We're in a library! Books! The best weapons in the world!” But when pushed to the brink, the Doctor can become truly terrifying, and it is this he runs from, not any “danger” that pursues him. The Doctor's popularity ranking on CharacTour is #21 out of 5,000+ characters. See our top-ranked characters and read their profiles.